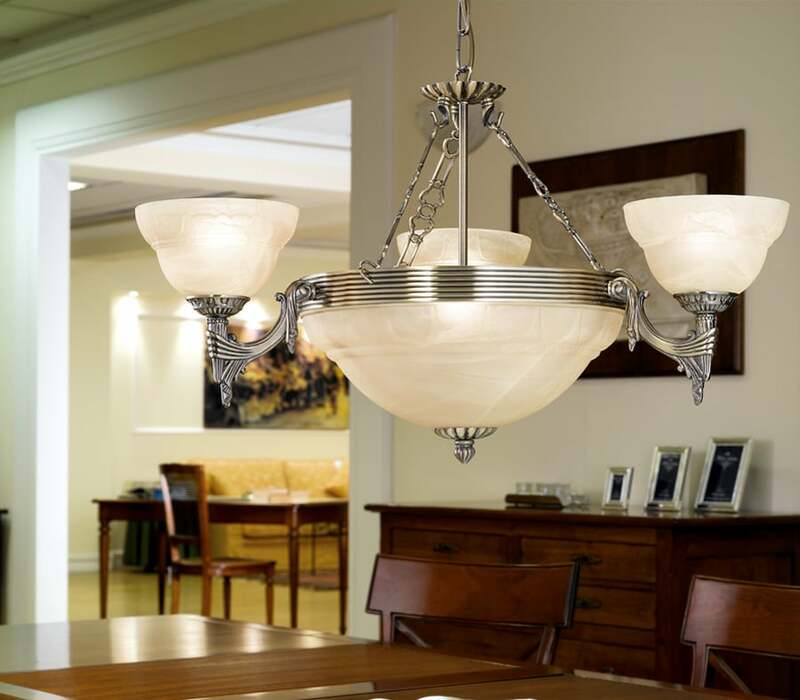 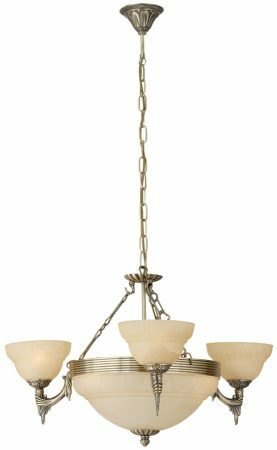 Highly detailed bronzed cast metal ceiling light with three plus three lights, champagne coloured alabaster effect glass shades and central light bowl. A spectacular fitting with three lamps in the central dish and three on the arms. 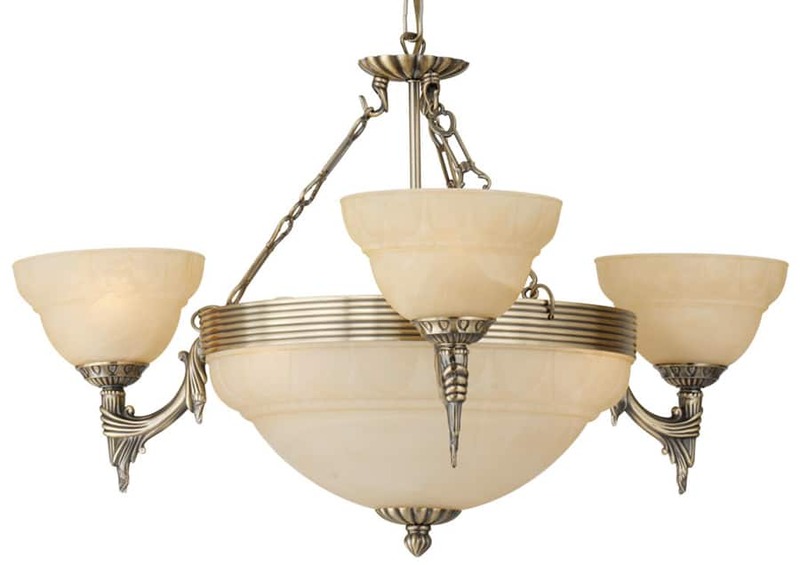 From the Marbella traditional lighting range, a superb suite of quality Spanish influence ceiling lights, a superior range that will look magnificent in a traditional setting.